Belvita Leading Wellnesshotels Südtirol stands for beauty, fitness and well-being. A mix of nutrition, relaxation, beauty and physical and mental activity provide the right path for spoiling your body and soul adequately. Our philosophy consists of the four pillars Wellfeeling, Beauty, Vital Cuisine and Fitness. Welcome to Marlengo, a special holiday destination near Merano. Enchanting throughout the year, Marlengo offers everything you are looking for in your next sunny holiday. Mediterranean climate, the best hotels and true hospitality are only some of the advantages you will find in Marlengo. Naturno/Naturns is a paradise for hiking, cycling and mountain biking enthusiasts. It stretches along the bottom of the Texelgruppe Nature Park and is surrounded by two completely different natural settings: to the south is the green Nörderberg mountain and to the north the arid Sonnenberg mountain at the entrance to the Texelgruppe Nature Park. 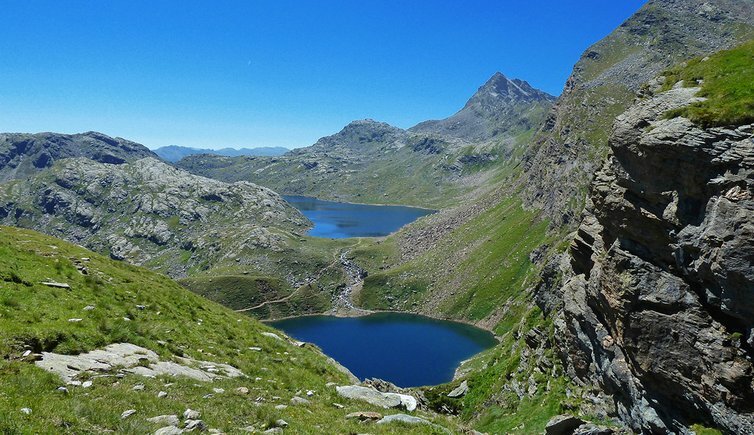 As a result, it offers hiking, cycling and mountain biking tours at three different altitudes. With 315 days of sunshine a year, Naturno is an ideal destination for outdoor holidays with friends or family. Just take a look at our, or rather “your” holiday magazine, “Naturns Magazine” to see for yourselves what Naturno has to offer visitors. “Naturns Magazine” offers a new lay-out and more impressive photos as well as handy tips and insiders’ information and is published in German, Italian and English. A quick glimpse at our new brochure is guaranteed to put you in the holiday mood! The holiday region of Avelengo, Verano and Merano 2000 is the ideal holiday destination for groups and families seeking activity, variety and relaxation. One of the most beautiful and sunniest high plateaus in the country awaits you above the valley basin of Merano. One of the most beautiful and sunniest high plateaus in the country awaits you above the valley basin of Merano (1,250 – 2,350 metres). The magnificent mountain backdrop of the Merano mountains, the Ortler group and the Dolomite Mountains make your heart beat faster! A lot of sunshine, fresh mountain air and a mild climate invite you to enjoy outdoor activities all year round. Blooming gardens and an alpine panorama. Feudal castles and secluded alpine huts. Gourmet restaurants and traditional wood-panelled rooms. Luxury hotels and historic farms. Wellness oasis and hiking pleasures. Whether contemplative thinking, love at first "step", moving traditions or rustic encounters - behind every story there are the locals of Scena, whose unique passions are published in the new Scena Magazine. Winter sports in Val Passiria is a unique pleasure! The first snow on the mountains makes the heart beat winter sports fans: cross-country skiing, skating, tobogganing, snowshoeing, ski mountaineering or a carriage ride. Summer in Val Passiria: There are many opportunities for sport in Passeier Valley including swimming pools at St. Leonhard and St. Martin, horse riding in parkland or in the mountains, numerous tennis courts as well as a marvellous 20 km cycling path, stretching as far as Meran, through idyllic orchards and over small picturesque bridges.